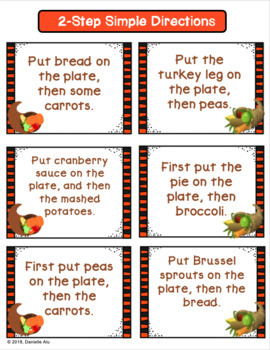 Fill up your Thanksgiving plate in this game that requires students to follow directions! 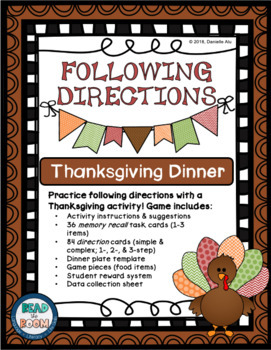 Game cards outline 1-, 2-, and 3-step simple and complex directions, as well as memory recall for 1-3 items. 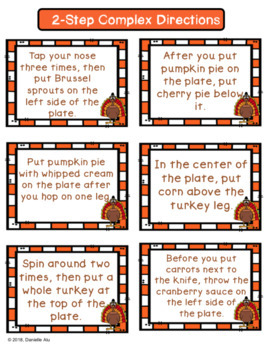 Students are tasked with fulfilling each card's request and filling up the Thanksgiving plate in time for dinner!